Empty teabags, 10% less than Ebay. And cheaper shipping! Using a spoon or scoop, simply fill each tea bag with herbs. Do not overfill. Making certain that no herbs are between the heat-sensitive seam, simply press with an appropriate heating device (clothing irons on cotton setting are recommended.) An impulse sealer set hot is great! Great for Sun tea! 25 large tea bags. Press 'N Brew - (DIY) Tea Bags. Directions Step 1 Place the tea in a lidded jar that will hold at least one gallon. Fill the jar with a gallon of water, and tighten the lid. Step 2 Place the jar in a sunny spot outdoors, and allow the tea to brew for 4 hours to 6 hour (6 being better). Resealable tea bags, 10% less than Ebay. And cheaper shipping! Press 'N Brew - (DIY) Tea Bags These classic "press 'n' brew" empty tea bags are indispensable for all your custom tea blends. A fun and economical way to share any herbal formulas you create. One tea bag holds approximately 2-4 grams of herbs. About the tea paper: Our tea filter paper is the same tea paper that is used by the largest tea companies in the United States. 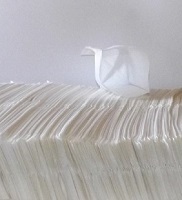 In fact there are really only two major suppliers of tea filter paper in the world. 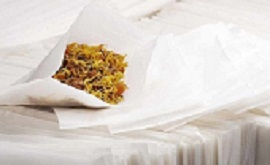 The tea paper is made of a special blend of thermoplastic fibers, abaca, and cellulosic fibers. This tissue has a high wet strength with neutral odor and flavor characteristics making it a highly acceptable media for bagging tea. The tea paper is compost-able but not biodegradable. 10% less than Ebay. 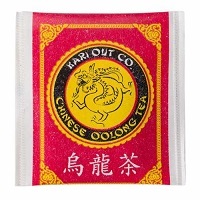 100 individual packets Kari out oolong tea. Each makes a nice 6 ounce cup of tea. LIMIT 1 (one) of this item per invoice. LIMIT 1 (one) of this item per invoice...All above 100 tea bags is refunded. Only 100 is shipped. LIMIT 2 (two) of this item per invoice...All above 100 tea bags is refunded. Only 100 is shipped. 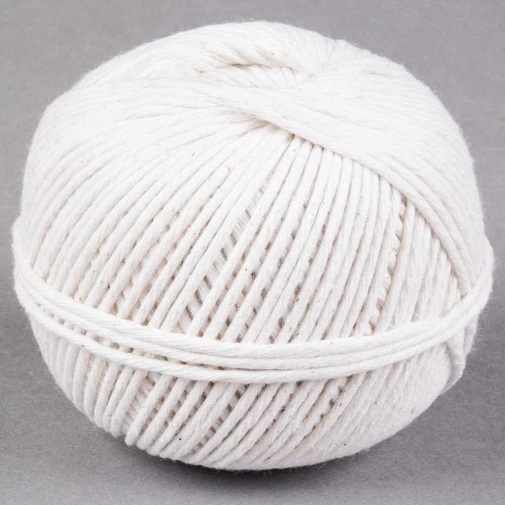 840 feet of all cotton butchers twine! $1.99 LIMIT 1 (one) of this item per invoice...Any above one is refunded. Only 1 is shipped.